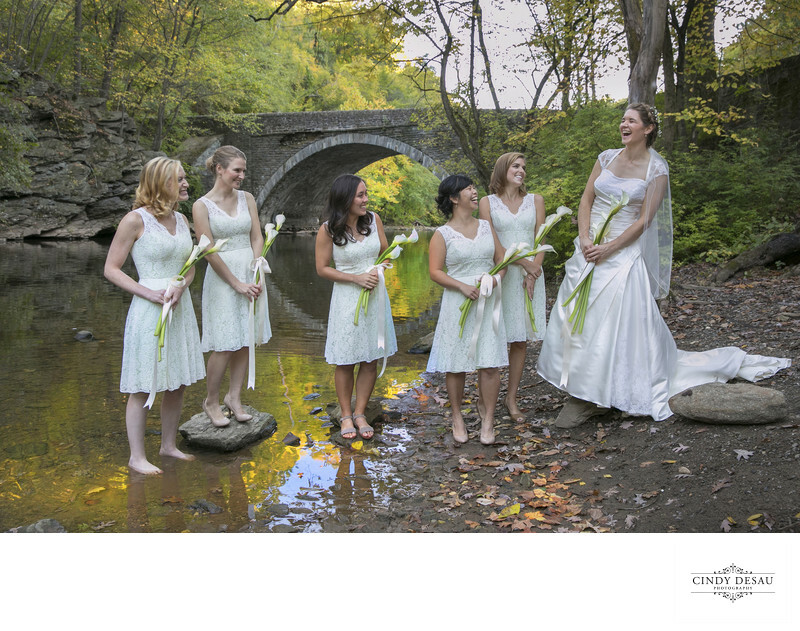 How many brides would make their way down a muddy bank for wedding photos next to a stream? I don’t think many would. And all of her bridesmaids happily joined in! One of her attendants even kicked off her wedding day shoes to stand barefoot in the water. Other bridesmaids found rocks to stand on. I did put the bride on the biggest rock to try and keep her train as mud-free as possible. This bride wanted nature in her wedding photographs, and I delivered. As a wedding photographer, I strive to give my brides and grooms the photos they desire. Location: Valley Green Road, Fairmount Park, Philadelphia 19128.